Have you noticed that your memory isn't what it used to be? If so, you might be taking a supplement to help boost your memory. That's great. 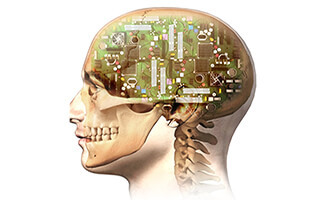 Now, what if I told you there might be a simple way to supercharge your memory formula? Interested? Most people think of memory problems as an age-related problem. They can be. But they also could be a hormone issue that's easily adjusted. That hormone is cortisol. Cortisol, as you may know, is a hormone that regulates the electrical activity of neurons in the brain. When it gets out of whack, it can negatively affect your behavior, mood, and memory. These behavioral changes can occur in both excess and deficient cortisol levels. Low or high cortisol levels can affect your sleep. They can decrease your ability to be patient (quick to anger). And, they can rob you of your ability to think clearly, remember simple details you normally remember, and inhibit your ability to retrieve memories. So what's the answer? It could be a simple herb with a not-so-simple name: ashwagandha. Ashwagandha is what Ayervedic medicine calls an adaptogenic herb. That's because it can help balance, restore, and protect the body. I like to think of it as an herb that can "adapt" to many different needs the body may have. For instance, ashwagandha is great for strengthening the immune system, enhancing stamina, and relieving stress. But that's just the beginning. We've known for years that ashwagandha is a powerful dementia and Alzheimer's fighter. Back in 2006, the National Brain Research Centre conducted studies on mice and found that the herb reduced amyloid plaques and improved cognitive abilities. Compounds in the herb work through the liver to boost a protein that helps clear amyloid plaque from the brain. And another report from 2005 found that the herb contains withanolide molecules. These molecules improve neurite growth in both normal and damaged brain cells in Alzheimer's mice model. This is crucial for reconstruction of damaged nerve networks. Even though we've known ashwagandha can fight various forms of memory loss, we were never sure how. Now researchers are starting to put the puzzle together. Ashwagandha fights memory problems. Abnormal cortisol levels cause the brain to function improperly. And now we know that ashwagandha helps balance cortisol levels. While the dots seem to line up, do they work in real-world cases? The answer is yes. Researchers recently reported a case study where a 57-year-old woman suffered with non-classical adrenal hyperplasia. The Mayo Clinic says that adrenal hyperplasia is a condition that limits "your adrenal glands' ability to make certain vital hormones. In most cases of congenital adrenal hyperplasia, the adrenal glands don't produce enough cortisol." When the researchers treated this patient with ashwagandha for six months, they measured her hormone levels. She saw improvements in four adrenal hormone markers. This included corticoosterone and 11-deoxycortisol, which decreased by 69% and 55% respectively. These are major improvements and show that the ashwagandha is able to balance the cortisol levels. What's amazing about these discoveries is that we now know that many people are treating some memory problems the wrong way. 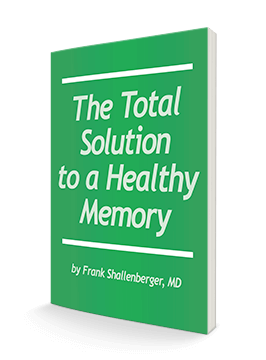 If the memory problems are due to cortisol imbalance, then we shouldn't treat the brain. We should treat the adrenals. This is why Advanced Bionutritionals doesn't put ashwagandha in its memory formula. Advanced Memory Formula is fabulous for treating memory problems that are not related to adrenal problems. There are thousands of customers who know just how well this product works for them. But some people notice only mild improvement. For them, it's possible their adrenals are fatigued. If this describes you, you might want to consider adding Advanced Adrenal Factor (which contains ashwagandha) to your memory formula. It might just supercharge your results. Steve Kroening is the editor of Nutrient Insider, a twice-a-week email newsletter that brings you the latest healing breakthroughs from the world of nutrition and dietary supplements. For over 20 years, Steve has worked hand-in-hand with some of the nation's top doctors, including Drs. Robert Rowen, Frank Shallenberger, Nan Fuchs, William Campbell Douglass, and best-selling author James Balch. Steve is the author of the book Practical Guide to Home Remedies. As a health journalist, Steve's articles have appeared in countless magazines, blogs, and websites. Eur J Neurosci. 2006 Mar;23(6):1417-26.